Ooredoo will demonstrate a range of innovative solutions and services at the upcoming Mobile World Congress, set to take place in Barcelona, Spain, next week. 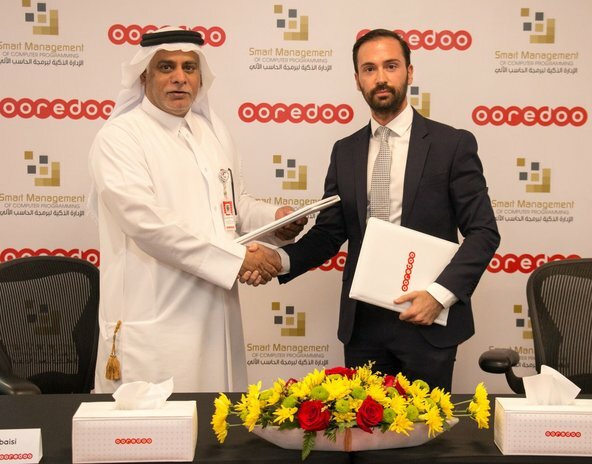 The company will use its presence at the event to highlight the incredible progress it has made in updating and optimising networks in the Middle East, North Africa and Southeast Asia, as well the range of solutions that Ooredoo companies are delivering over these next-generation networks. The theme of this year’s GSMA Mobile World Congress is “Mobile is Everything,” and Ooredoo has taken major strides in recent years in delivering a diverse portfolio of life-enriching digital services via mobile. One of the main areas of focus on the Ooredoo stand will be a special demonstration of 5G technology, deploying Ooredoo networks to deliver faster, smoother mobile Internet than ever before. Ooredoo has a strategy in place to use 5G to offer significantly faster data speeds, ultra-low latency, and to enable a host of Internet of Things (IoT) solutions, by enabling more devices to connect to the network. In 2015, Ooredoo companies launched 4G+ services in Kuwait, the Maldives, and Indonesia, and set a new speed test record on LTE-Advanced (LTE-A) three-band carrier aggregation technology in Qatar, which launched 4G+ in 2014. The company is already in discussion with a number of technology leaders about beginning 5G trials in some of these key markets. As well as 5G, Ooredoo is also set to showcase Voice over LTE (VoLTE) services during Mobile World Congress. In Qatar, Ooredoo has already become the first operator in the GCC region to successfully trial VoLTE across a substantial part of its nationwide network in a pre-commercial phase. The service gives customers access to crystal clear HD voice calls and provides faster call setup. It also enables customers to switch between ongoing voice calls and high-quality video calls, and browse the Internet while still on a call. Ooredoo will also demonstrate the incredible range of business services and machine-to-machine solutions currently being provided to small companies and massive enterprises across its footprint. The company has developed strong expertise in “Smart City” and “Smart Stadium” solutions in recent years. This have been driven by major investment in key markets such as Qatar and Indonesia, where Ooredoo M2M solutions are supporting everything from traffic management services through to smart metering to manage energy use. The company reported revenues of US$ 9.1 billion in 2014 and had a consolidated global customer base of 114.9 million customers as of 30 September 2015. Ooredoo’s shares are listed on the Qatar Stock Exchange and the Abu Dhabi Securities Exchange.